If you are looking for a commercial EPC in Nottingham, try our services here at A & C Energy Surveys Ltd. We have a fast turnaround and have many years’ experience within the industry. 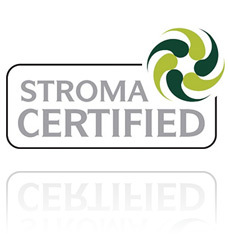 We are also accredited to government standards so you can be sure you’re in good hands. Call us on 07513 990269 or submit an enquiry via the form below. The University town of Nottingham is a major city in the East Midlands. Together, the metropolitan area of Nottingham and Derby has a population estimated to exceed 1.6 million inhabitants. 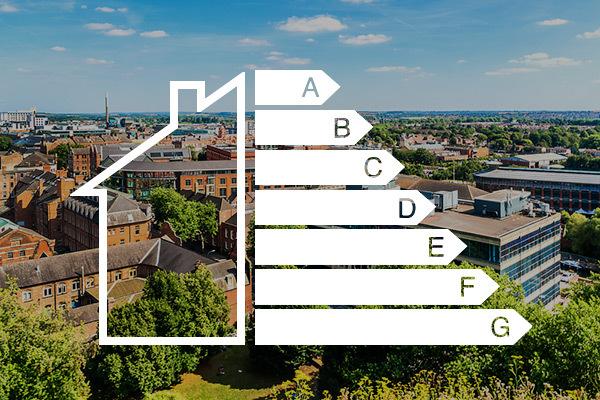 This includes 60,000 students in its two universities: Nottingham University and Nottingham Trent University. Transport in and around Nottingham is second to non in the UK. Nottingham city itself has the largest publicly owned bus network in the UK and, since 2004, it also has a Tram system which is still being extended. Links with other cities by road and rail is also excellent. The M1 motorway provides north south communications as does the A46. East west connections are provided by the A50, A52, A606 and the A610, amongst others. It is also served by the nearby East Midlands airport. Rail connections are served by Rail CrossCountry, East Midlands Trains and the Northern Line. Are you planning on selling, renting or leasing a building? If your answer is yes, then you’re going to need a commercial EPC (energy performance certificate). Another name you might hear used for this is non domestic EPC. It’s a legal requirement that you can show how energy efficient your property is. Getting a certificate is not a problem. 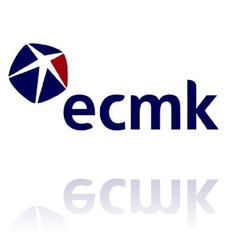 We have completed many EPC assessments for clients in Nottingham and the surrounding area. 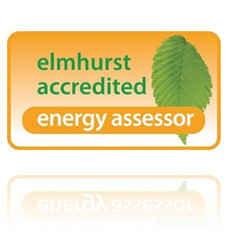 Our energy assessors are responsible for completing the epc. Each of our assessors is fully accredited. Whether you’re a landlord, property developer or estate agent, we have an excellent reputation for providing a fast and efficient service. Energy performance certificates are a necessity for landlords, property owners, and letting agents. Mid term (lease) one is not required. The trigger point is a change of lease or sale of the property. An EPC is a certificate rating residential and commercial properties. From it you can gleen information on current energy use as well as see recommendations to reduce energy loss. Nowadays it is usual for buyers/tenants to consider the running costs of a building before purchasing or leasing it. An EPC certificates is what is required to show efficiencies and inefficiencies. Have you heard of MEES? There is going to be a continuing quest to reduce greenhouse gases and most of this will be backed up by legislation. The latest legislation, as from 1st April, 2018 is called MEES which stands for Minimum Energy Efficiency Standards. As of that date any building, domestic or non-domestic, that is rented out must have an energy rating of at least an E. There is conjecture that in order to meet its obligations the government will increase this to at least a D rating over the next few years and that will be a much more difficult target to achieve. An EPC obtained now will last 10 years. Getting an EPC helps you in contributing to environmental conservation through energy efficiency. A lot of effort has been put by governments across the world to increase sustainability and your business would be playing a role in it. Sustainable businesses are preferred by potential buyers.